The importance of Manuel Alvarez Bravo, Henri Cartier-Bresson and Walker Evans appears so clearly today, so indisputable, that one hesitates to draw attention to it for fear of stating the obvious. 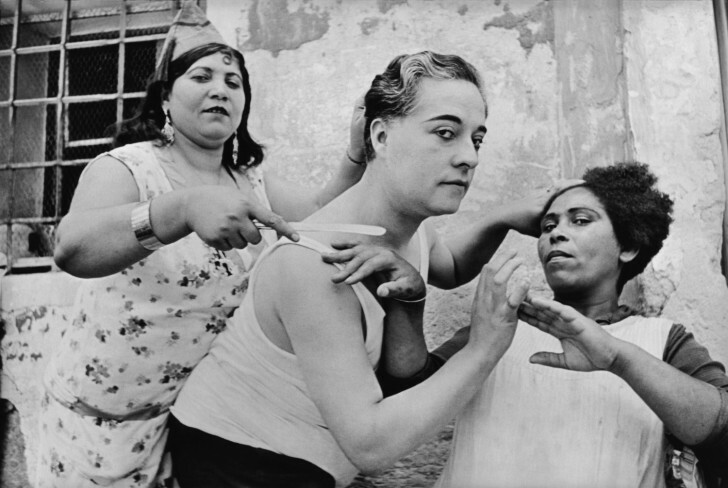 Together, the three names magnificently embody twentieth-century photography. 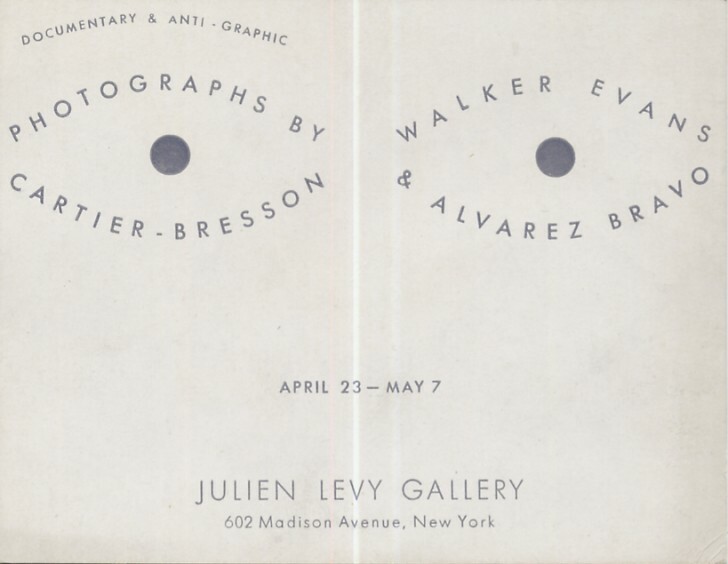 Yet in 1935, when the New Yorker Julien Levy, one of the most influential collectors of the 20th century who played an essential role in avant-garde cultural exchanges between France and the United States of America, conceived the exhibition, Documentary and Anti-Graphic Photographs, this stature was hardly a fait accompli. No one could fully imagine the eminent place the trio would occupy in the avant-garde of their time, nor the immense influence the photographers would have on future generations. The exhibition will be shown in Paris from 8 September to 19 December 2004 as a co-production of the Fondation Henri Cartier-Bresson and the Musée de l’Elysée de Lausanne. It will be shown in Lausanne from 10 February to 10 April 2005. Gathered together again for the first time since, these period prints represent an exceptional set of essential and sometimes unknown images. This historical exhibition assembles the original early works of three masters of photography. The catalogue contains essays by Agnès Sire (curator of the exhibition and director, Fondation Henri Cartier-Bresson), Daniel Girardin (curator, Musée de l’Elysée), Ian Jeffrey (historian of Photography), Michel Tournier, Peter Galassi (chief curator, departement of photographs, MoMA, New York) and Jeff L. Rosenheim (associate curator, Metropolitan Museum of Art, New York). The show in New York in 1935 has been one of the first exhibitions Henri Cartier-Bresson ever had and the book is the last project he could appreciate before leaving us – the wheel comes full circle.